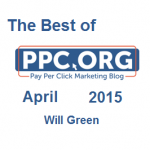 Another month goes by which means another round up of the best pay per click advertising articles out there on PPC.org. Last month, March, looked into a great selection of articles such as the types of people that will use PPC: the browsers, the shoppers and the buyers (any web uservcan be put into one of these three categories).For April, we have a wide selection of articles to offer to read and many articles from the ‘Analyse A Real PPC Campaign’ series so you can learn the tips, tricks and techniques the biggest and smallest companies use with their own PPC campaigns. Before anything, if you want to make a success of using PPC, you need to understand the fundamentals behind your targeted traffic. In this article, I highlight the three fundamentals to satisfying a web user in PPC not matter what you are trying to advertise or promote. I strongly dislike the bounce rate. It is a statistic that, if high, can have such huge consequences to the success of your landing page. In essence, a high bounce rate means web users are not interested enough to engage further with your landing page and are simply clicking or ‘bouncing’ away. Here are six ways you can try to minimise your PPC landing page’s bounce rate. PlayStation – PlayStation had made a PPC campaign to attract the web users that wanted to rent movies online. They had a good search advert but lacked in using the whole available space of their landing page as you will find out if you read on. Wickes – Just like, PlayStation, Wickes had a good search advert. What sets them apart from PlayStation is that they also had a good landing page, using purple as the dominant colour to illustrate wealth and quality to the web user. WeBuy – If you want an example of a terrible landing page, you are not going to get a better example than the one WeBuy used. I highlight four reasons why WeBuy’s landing page is not well optimised for PPC. Smartphones of 2015 – Instead of looking at the advert and landing page, I decided to look at the search adverts for the search phrase, ‘smartphone 2015’. What I found was that there were 3 main competitors: Apple, Samsung and Microsoft. It is important to keep up with all the news around Google and PPC. The most up to date news is that Google have announced that websites that do not have mobile friendly versions of their desktop website will be punished in Google’s mobile organic search results. For those without a mobile version of their website, this could mean a huge fall in traffic. 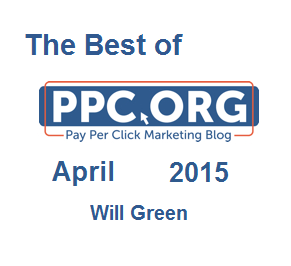 There’s the top six articles I believe I created in April 2015 that will benefit you the most. I hope this has proved useful to you like it has for so many other people.